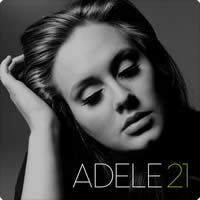 Don't You Remember was written by Adele Atkins & Dan Wilson. It was recorded in 2010 and the single released on January 19, 2011 from her album 21. Please Note: The original published key is E♭ Major with a key change to F Major. Also there is a timing change on the last line of the Bridge for 1bar - from 4/4 (song tempo) to 2/4 for 1 bar and back to 4/4 for the rest of the song... see song chart. 1. When will I see you a-gain? 2. When was the last time you thought of me - e? Or have you com-plet-ely e-rased me from your mem-o-ry? Please Note: Bb and B can be played using a mini-barre with the 3rd finger instead of using fingers 2,3,and 4. It depends on your level of experience or preference. If you are playing a guitar with a wide fretboard you may prefer the 2,3,4 choice - this ensures that each string will sound clearly. It is recommended that beginners use this method until your fingers have adapted to the mini-barre method. Level Of Ease: Moderate. There are a few barre chords, but they are all fairly easy to play. Key Signature: The song starts in the key of D Major...(2 sharps - F# C#) with a key change going into the final chorus; E Major (4 sharps - F# C# G# D#). There is some interesting timing in each chorus between the 2nd and 3rd lines. Where Adele sings "The reason you loved me", the D chord is played on the "me", which would normally come in at the start of the bar, but comes in on the & of the 4& of the previous bar. This means the following bar has to hold an extra quarter-note/quaver beat before changing to the F#m (-e) of "me-e before" at the end of the 3rd line of the chorus. This may sound a little confusing, but if you listen and count the beats during the chorus leading up to and during the event, you will know what I mean. This is a form of off-beat syncopation where the note is played slightly before the beat. The effect is dramatic and works well in this song. In the Intro, you can just play a D chord, however it sounds better with the subtleties of the Dsus4 and Dsus2 chords. This live version of the song starts in the key of D. The original recorded version starts in the key of E♭ which some of you may find a little difficult to play. If you prefer the record version and don't want to play in E♭, simply put a Capo on the first fret and play in the key of D.
Hope you enjoy the song. From a musicians point of view, it has everything. 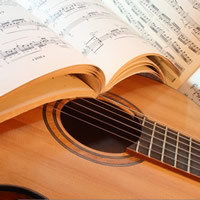 "Don't You Remember" chords and lyrics are provided for educational purposes and personal use only.